Completely disagree. Ken was also on the list: if there was a real personal vote for him in Eastwood then he would have done well across both ballot papers (like John Scott in Ayr). I think tactical voting was also significant in Orkney and Shetland in addition to personal voting. The list returns are interesting here. Agree regarding Orkney and Shetland. The Labour and Conservative votes in the seat prove extensive tactical voting. Regarding Ken Macintosh, I would make the argument that most people don’t base their list vote on the 4th placed candidate. The Conservative list vote in Ayr probably profited from the strength of the party’s second-vote campaign, which was completely absent from the Labour campaign. Many SNP and (certainly) Green voters will also have preferred their own parties for obvious reasons. Granted the East Renfrewshire boundaries are different from Eastwood but do you think the Tory win there last week will disincentivise tactical voting in 2020? Probably, but I doubt it would be so dramatic. Especially as almost all of the remaining SNP vote is pro-independence, which wasn’t the case in 2011. That vote is softer in some areas than others (eg much of the central belt being more soft SNP, north east being much bulkier). As Simon pointed out before the swing against the SNP in the North East was mostly just bringing the vote down to meet the referendum result. It is nothing too surprising given that in many areas the SNP vote held up numerically compared to 2011. The North East is more solid Yes territory in my view: in every constituency the SNP met or exceeded the Yes vote in 2016. This is particularly true in the rural portion of the region. In contrast, parts of the central belt (Dumbarton, Eastwood and Rutherglen spring to mind immediately) actually had the SNP down on the 2014 Yes result. I was reading about the formation of the SNP in 1934 from the left of centre National Party of Scotland and the right of centre Scottish Party. The two parties merged into a centralist party in 1934, however, the shift to the left of the SNP following the 79 Group (who were first expelled but then took over the party). Today’s SNP effectively is the old National Party of Scotland. Until Ruth Davidsons defeat of Labour in May we regard Unionism in Scotland as left of centre and right of centre and we regard Nationalism as left of centre. There was a group of ex-Tories during the Indyref called Wealthy Nation who promoted centre right economics and Scottish Independence. This scenario be fascinating because like Northern Ireland, we could see Unionist and Nationalist majority seats being won by the opposite side. I would imagine that the centre right Scottish Nationalist vote would be equally divided between the SNP and Conservatives so such an emergence would not necessarily benefit the Conservatives in SNP/ Con marginals. While the prospect of an emergence of a centre right Scottish National Party may seem laughable centre right nationalists may feel uncomfortable with the SNP’s left will position and the Scottish Tories obsession with Unionism. Of course Unionist has always referred to Northern Ireland rather than Scotland in the party name. Was about to say the exact same thing as Paul! When the Scottish Tories described themselves as Unionists in the 1950’s there was more focus on Northern Ireland than Scotland. Scotlands continued membership of the UK was never in doubt at that time. The big swings from SNP to Con in the SNP/ Con battleground constituencies are due to the SNP now being the established Scottish government and the Tories establishing themselves as the primary protest vote. At Westminster elections in the equivalent constituencies the Conservatives will be perceived as the long standing government in 2020 and the SNP will be the party of protest. For the last decade we have seen the SNP being the party of Holyrood and Labour remaining the party of Westminster. We could now see the reverse scenario with the SNP becoming entrenched at Westminster but weakened at Holyrood. I could see the SNP holding most of their seats in 2020 (perhaps only losing Berwickshire, Aberdeenshire West, Edinburgh West and Fife NE) but then suffering a greater number of loses at Holyrood the following year amongst the new SNP/ Con marginals. In 2021 the Tories could take some notable scalps such as Rosanna Cunningham and John Swinney (although they would be certain to return as list MSP’s). As I’ve mentioned repeatedly I think that it’s a bit too early to be predicting the result of the 2020 general election in Scotland. The campaign will play a large part in determining how the result will go. I believe that the Conservatives are currently on track to do well in Scotland though that could all change by 2020! 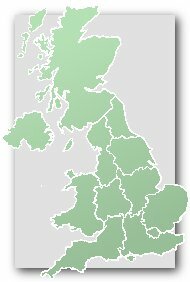 Where are the Tory converts coming from? Wishart took over 27000 votes last time. The SNP has polled consistently around 45% for 3 years now. I have heard anecdotes about some 2015 SNP voters who are fed up with referendums- perhaps they will stay at home. But that doesn’t mean they will start voting for the Brexit Unionists. You are looking for a fifth of the 2015 SNP vote to switch directly to the Tories, not just stay at home. They need to actively vote tactically against the party they voted for 2 years ago. Or for an even bigger share of SNP voters to stay home. Unless you think there are even more votes to be squeezed from the remnant LDs and Lab. if you look at the SP equivalent, the joint Lab/Lib vote was steady from 2011 to 2016, so there’s no evidence it will shrink from 2015 to 2017. The SNP continues to poll strongly and has held this seat for 20 years. This is not Aberdeenshire West. Ian Duncan MEP is contesting this seat for the Conservatives. This seat looks like a v close toss-up, perhaps one of the only one where SNP have 50%+ of the vote that they could actually lose. Banff and B is obviously an even longer shot that just might get interesting. There is no doubt that a lot of unionist voters are rallying around the Tories as the only Scottish party other than the SNP that’s not in freefall (remaining a comfortable first place can never in my opinion qualify as freefall, no matter what’s happened to share). b) The other parties really are at their core here, therefore there will be little churn away from them. c) There was little correlation between so-called Tartan Tories and their views on independence. Some supported it, some did not. On balance a bigger motivating factor was the belief that the SNP were not a credible force at Westminster and that even if they held the balance of power, it would be to Labour’s detriment. Now that this has changed, willingness to tactically support the SNP if you don’t believe in left-leaning policy or in independence has diminished. The Tories could achieve the lower end of Plopwellian’s seat estimate, which would be an outstanding result by the way, but whether that prediction is sound or not, no convincing argument has been made for why this seat might fall. John Curtis has said that the latest increase in the Conservative vote has been amongst Leave supporters and that there is no increase at all amongst Remain supporters. This could mean that the Conservatives may not perform as well in strong Remain areas Edinburgh and the Glasgow Suburbia (East Dun and East Ref) than the polls suggest unless. I think that all political parties will be studying the local election results before deciding which constituencies to make their final push. Yes, if the SNP are just focusing on IndyRef2 in their campaign then it’ll hurt them in seats like this. Would be hilarious to see Robertson and Wishart defeated. Have you ever considered posting anything non partisan or simply blindly guessing that the Tories are going to win every seat on the planet? The Tories will get voters switching from the SNP. As somebody who speaks to a lot of voters from this seat, much of the SNP vote here is soft. Many voted SNP last time because they didn’t like Cameron and didn’t know Ruth Davidson but are post 50 and thus their vote had to go somewhere. In other words, SNP were often the least bad of a bunch of bad options in the views of many voters from this seat. Now, however, with May’s positive perception even in Scotland and Ruth Davidson’s vastly higher profile, I expect there to be a lot of switching here. Whether it’s enough to knock off Wishart I doubt, however. Predicting a Tory gain here. Predicted Tory gain, majority of 1.1% on just the polling averages. This seat is most certainly in play. Wishart (like Robertson in Moray) will have tough fights on their hands to keep their jobs. I think the result will be closer than last time round, but I think Wishart will have just enough in the tank to see him over the finish line. Same goes for Alex Salmond’s constituency of Gordon, although a pro-Lib Dem tactical vote here could prevent the Conservatives from gaining that seat. Anyone with an inclination to have a bet on this result will find the Tories now favourites on Betfair Sportsbook.. I, on the other hand, reckon that Pete Wishart has shown himself to be a past master at getting out the anti-Tory vote, and will not let a near ten thousand majority slip away.. So my money is literally on Wishart to hold at evens. Extremely good Blue result. If it reflects a strong swing in this area from the others to the Tories, then it’s more bad news for the SNP. Pete Wishart has tweeted that the Con vote is ‘in free fall’ here. Either Cons may fall short of expectations, or if not I hope we get to see Wishart’s face when the result is declared. Is this going to be another “Nick Palmer in Broxtowe” moment when he predicted that the Tory vote was in “free fall” at the last election only for the actual result to produce a substantial swing to the Tories. SNP tactic to try and dissuade Tory voters from turning out to the polls? I do believe that they will gain this one as well, though it’s not as likely as Moray! Con 2015 vote here higher than Moray, WDYM? Point taken BT says! Yet they are fairly close, especially in the Scottish Parliament. More significantly the SNP are now weaker in Moray, and there was a slightly larger No vote and much larger Leave vote in Moray. If the Conservatives win Moray then they’ve most probably also taken Aberdeen South and West Aberdeenshire & Kincardine. The SNP are generally safer in seats such as Angus, Gordon, Perth & North Perthshire and Ochil & South Perthshire in comparison to Moray, so there would be no guarantees of gains in those areas if the Conservatives were to gain the Moray seat with a slender majority, but I would say that Conservative prospects in a number of constituencies in the north-east are looking very good, I could in fact see them taking a majority of seats in the north-east of Scotland. Moray wouldn’t come as much of a surprise to most of us, though the general public who do not follow the polls will think of it as a remarkable result. Banff & Buchan would be truly remarkable though – even more significant than Gordon considering it is the absolute SNP heartland in Scotland having also voted Yes to independence. I never thought I’d see the day of a Conservative being elected there, but it may well happen. Yes but the truth is that Gordon has the characteristics of a Conservative seat in Scotland which Banff & Buchan lacks: an affluent, rural constituency which voted strongly against independence in 2014. Of course it would come as a huge surprise to the general public, but for myself Banff & Buchan would be a more remarkable gain. I’ve stated this previously but there is speculation that the independence vote was very soft in Banff and Buchan. The theory goes, given the strength of the fisheries up there, many voted for independence as a means of regaining control of fishing waters not necessarily because they *wanted* to be independent. Note that it was the ONLY constituency in Scotland to support Brexit which reinforces this theory. Both very different votes, yet struggling towards the same outcome. I think they would have taken Gordon had Salmond not been the MP. Out of all the MPs, don’t you think he’d have one of the highest and most visible profiles? Fundamentally different. Portillo was swept away in a massive landslide defeat while Balls’ seat was very marginal to begin with. Neither Salmond nor the SNP are anywhere near an ‘on the ropes’ situation that would make this seat vulnerable. Of course, I don’t rule out a shock result because he has not always represented all the areas in the seat, has had a limited time to develop a local profile, is in a relatively strong Tory area and the fact that local profile is generally shown to have not that much of an effect in swaying people’s votes. As I was watching the results come in on BBC Scotland this looked to be a nailed-on Conservative gain in Scotland, and Liz Smith MSP was eager to talk up the party’s prospects on the programme, suggesting that it was pretty much certain given the events. Perhaps this is because she was the Conservative candidate for Perth back in 2001, when the Tories again missed out by a slender 48 votes to the SNP. The Conservatives did alright here on vote share terms but they might have been anticipating their vote to be a little higher. The SNP vote was certainly inflated here. Clearly there are still a few Tartan Tories still hanging about this seat who, for whatever reason, have taken a liking to Pete Wishart, just enough this time. Pete Wishart’s majority here was 21 (0.0%). Absolutely remarkable considering the result elsewhere. Lab and the LDs both slightly improved their vote, which given the margin may have been critical in denying Ian Duncan. Bill Walker the former MP for Tayside North has died.